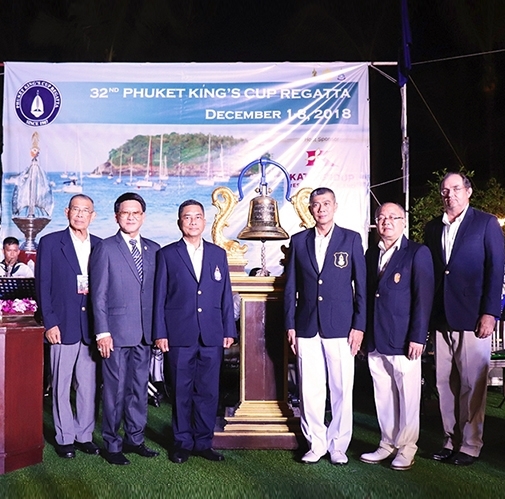 Phuket, 2 December, 2018– Asia’s premier sailing event and the prestigious Phuket King’s Cup Regatta, celebrates its 32nd year at its traditional base the Beyond Resort Kata, Phuket, from 1-8 December. With 11 classes of Keelboats and Multihulls and 6 classes of International Dinghy Classes, many familiar faces have returned to either defend their titles or try to dethrone the champions. Aiming to grow sustainable sailing communities, this year the Phuket Dinghy Clinic is initiated for young sailors targeting to develop skills for excellence during Regatta week. “For 2018 and in past years, we have had a special focus on growing the dinghy components of our overall regatta, as we in the sailing community in Thailand can feel the positive effect this is having over the years as the sport of sailing continues to grow in popularity here,” he said. “The International Dinghyfleet isa fast-growing racing program designed to promote and encourage youth sailing in Thailand. This year, the Royal Varuna Yacht Club will open Phuket Dinghy Clinic for young sailors aiming to develop skills for excellence, improve boat handling and race strategy, friendship and respect from December 2-4.